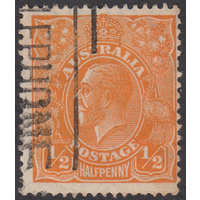 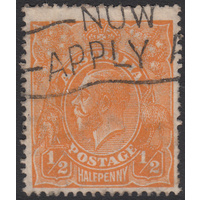 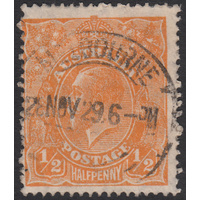 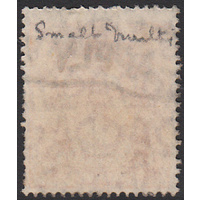 Australia KGV 1927, 1/2d Orange, Small Multiple Watermark, perforation 14, variety 8L10 (Notch in top frame 3mm from top left corner) in Good Used condition with some short perforations at right. 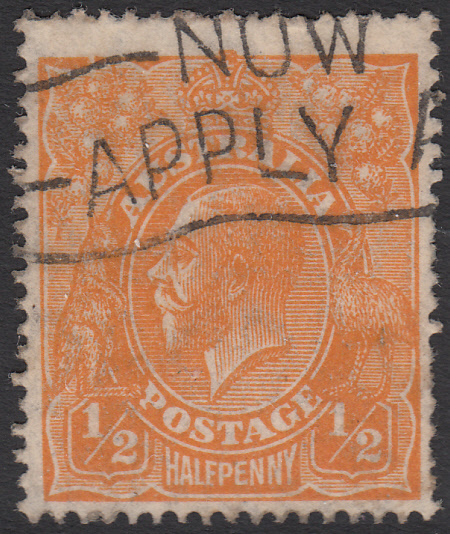 Centered low with a slogan cancellation obscuring part of the variety. 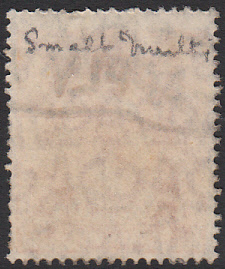 BW 67(8)g.